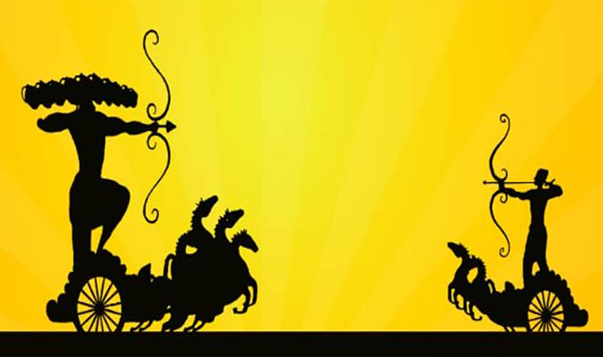 5 Financial Lessons To Learn From Ramayana, This Dussehra! The festival of Dussehra epitomizes the victory of good over evil. The mythological stories associated with Dussehra teach us to curb our greed and ward off bad intentions that may harm us in the long run. We often draw inferences to conduct our life’s daily routines from our ancient epic saga’s. As you gear up for Dussehra puja this year, we have a suggestion for you! How about taking a new and fresh perspective at your finances in a whole new way? Here we are chalking out a few financial planning lessons that can be acquired from the Ramayana and imbibed for leading a healthy financial life. Lord Rama practiced “dharma” meaning one has to be upright, responsible and disciplined in life. The same theory of righteousness can be applied to our finances as well. We must save wisely, spend cautiously and invest smartly to lead a disciplined financial life. It is essential to inculcate good habits like following a financial plan, repayment of EMI’s and bills on time, and many such actions that affect the overall financial health in a crucial way. Dussehra teaches us to draw our own “Lakshman Rekha” in order to safeguard our finances. Protecting your money means shunning all the evils that negatively impact your financial well-being. You can always protect your finances by choosing to invest in the right places to save on tax or insure for right cover to protect your family like Lakshman Rekha was there to protect Sita. While you do that, keep a tab of credit scores too as they can paint your financial picture either green or red! CRIF allows you to check your credit score free once a year and what better occasion than Dussehra to do it. Check your FREE credit score now. Lord Rama along with Lakshmana and Sita were exiled to the woods for 14 years; he accepted his fate and maintained composure. When the Lanka war broke out; Lord Rama fought with patience and perseverance without giving up or using short-cuts These two incidents in the Ramayana signify the importance of being patient and perseverant in the hardest of times. Irrespective of the ups and lows in the market, as an investor you should be patient enough to let thing start working according to your financial goals. The Lanka war of 14 days marked the defeat of evil and paved way to newer paths. Undo your bad decisions that you’ve taken in the past related to your finances by making some relevant and good decisions to streamline your financial picture for better money management. The first action you should be taking is improving your credit score as that itself can influence a lot of your decisions. Remember to check your credit score with CRIF, one of the most trusted credit bureau that enables you to keep your financial records straight. A country, where people know how to spend, will be a country where people will eventually learn to invest intelligently. We are gradually migrating towards financial maturity rather than merely a nation of tight-fisted spenders and savers.